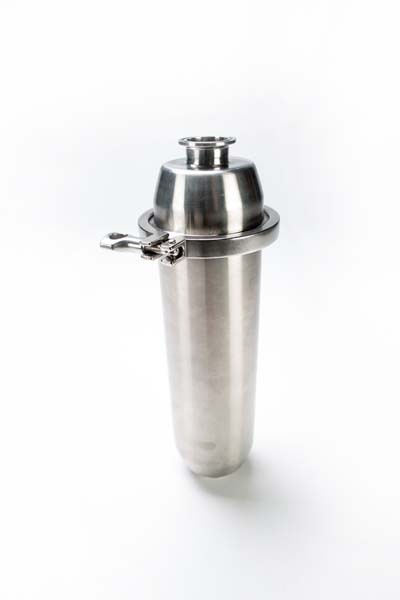 Sizes: 1.5", 2.00", 2.50", 3.00"
Sanitary Solutions is your source for Stainless Steel Filters and Strainers that can be placed inline or as a side-inlet that are primarily found in the Beverage, Cosmetic, Dairy, Food , Meat or Poultry and Pharmaceutical Industries. 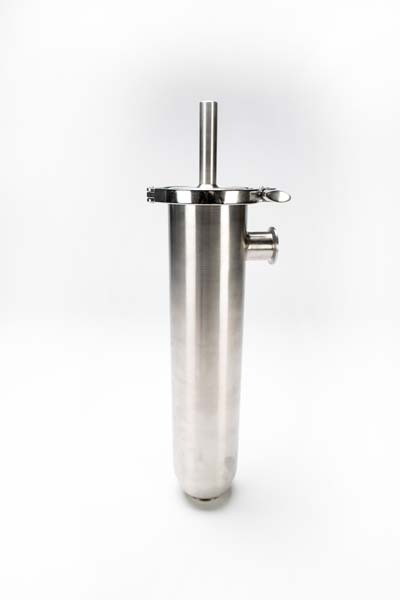 Our Stainless Steel Filters/Strainers are specifically made to filter media or strain particles whether large or small and rid of unwanted particles for your process line. So, what's the difference between a filter and a strainer? Filters use media that can be thrown away to remove fine particles from a given gas or liquid while Strainers, on the other hand, use perforated plate screen mesh to remove the big stuff or larger particles. Remember, strainers come in (3) choices-- Coarse, Medium, or Fine depending on your application and that a strainer is reusable and filters are disposable. 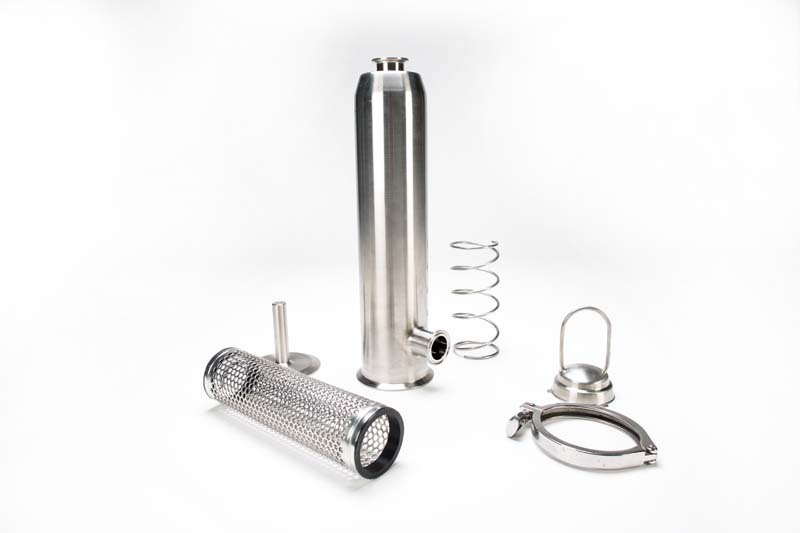 When purchasing a stainless steel filter or strainer, Sanitary Sales personnel has the following questions to make the best determination for your application: What is running through the process line? What is the temperature and operating pressures? What is the line size and types of connection? Is the product viscous or particle size? Do you have installation dimensions so the product can fit correctly? 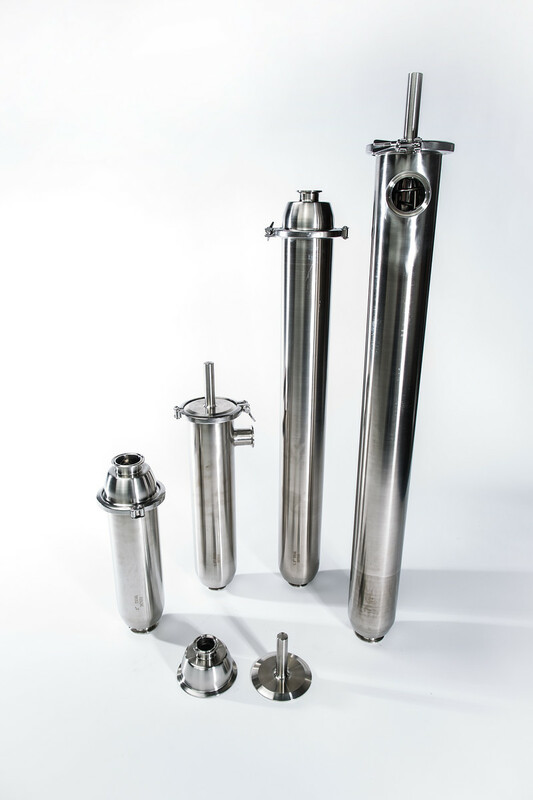 We, at Sanitary Solutions, are very excited to include the improvement of supplying a heavier gauge back-up tube or perforated stainless steel support core so you have less failures when the filter-strainer is operating in the field. Sanitary Solutions provides you, with the choice of an Inline or Angle Style Strainer to meet your process applications. Upon downloading the Inline & Side Entry Filter and Strainer brochure in PDF, take a few moments to review the dimensions, filter and strainer Pressure Drop Curves, wire cloth mesh over screen data, filter replacement, single screened perforated metal strainer data and a filter/strainer answer sheet for common questions about the sanitary filter and strainer that we stock. We are NOW STOCKING the following sizes of short and long Perforated Metal Over screens in T316L that will interchange with many of our competitors and assist you when the need arrives for filter/strainer replacement parts . Our Sales Team is trained to assist you in making the best determination for stainless steel filter and strainer and can be reached at 1-888-909-3569 or 1-855-640-7871..